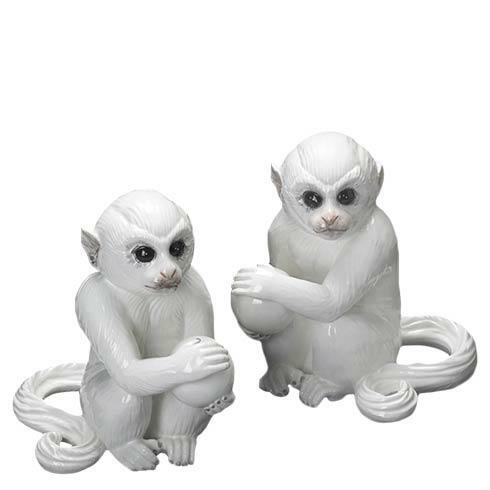 Mottahedeh ~ Monkey Bookends, Pair, Price $165.00 in New York, NY from William-Wayne & Co. This Whimsical Pair Of Monkeys Each Hold A Ball. Perched Together Or Used As Bookends They Delight The Eye.